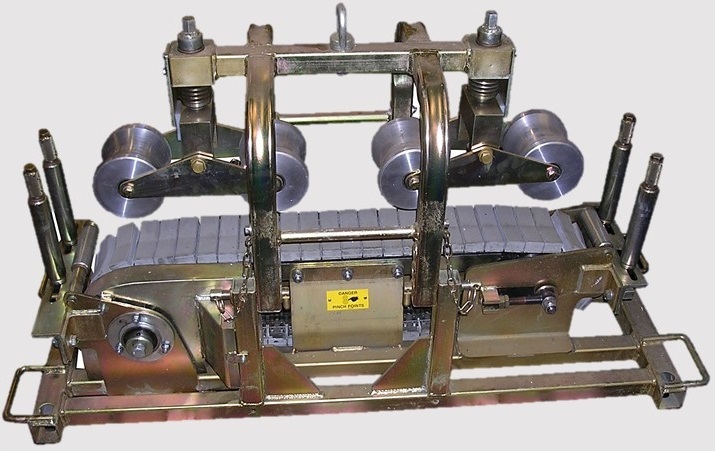 The Cable Pusher has been designed to assist the laying of electrical cables or cylindrical elements. 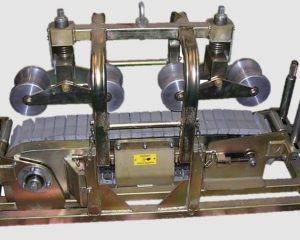 The unit has a profiled drive system to grip the cable, with a load applicator of adjustable upper rollers. 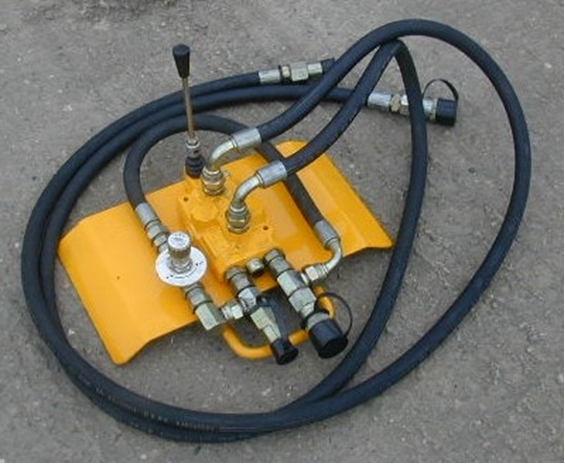 The drive system is hydraulic, and is powered by a Portable Hydraulic Power Pack (see optional extras).